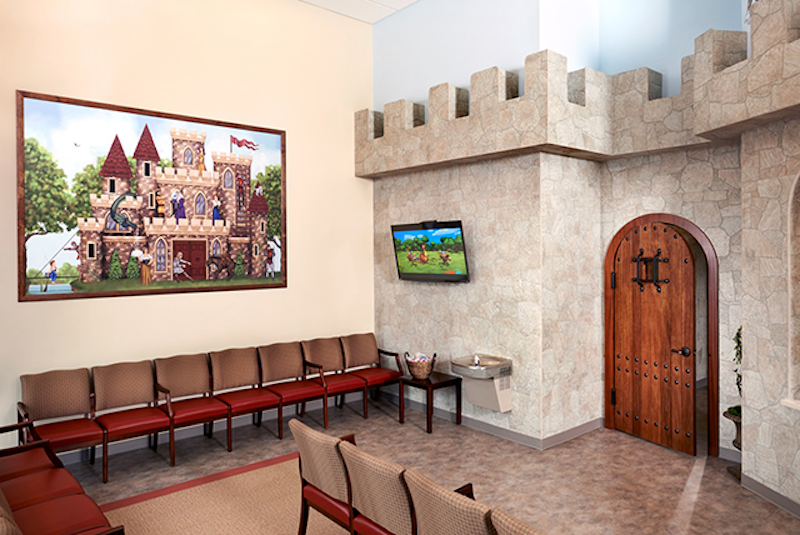 PM Pediatrics, Holmdel is a pediatric urgent care center serving the children, adolescents and young adults in Holmdel with extended hours, making them a great option 7 days a week when your child's primary care office may not be open. You can find this clinic located at 2107 NJ-35 and patients can walk in to see them today from 12:00pm to 11:59pm (last verified on 2018-08-10). Recognized favorably amongst their patients, PM Pediatrics, Holmdel has an average rating of 4.9 stars out of 5 based on 621 total ratings. Nationally, most pediatric urgent care patients see average wait times between 15-30 minutes before being seen by a provider, which should be expected at PM Pediatrics, Holmdel as well. As part of the group, they have a in miles away that you may want to consider if the wait gets too long. Definitely was a pleasant experience having been our first visit. The staff was very pleasant and welcoming. I would definitely recommend friends with young ones to this place. Felt physician was rushed, distracted and was not aware of my child’s allergies to medications. Also the physician wore no identifiers. No name tag, lab coat. She introduced herself quickly. My daughter was there with a minor issue so our experience was fine but would have hoped for better. Highly recommend. The staff was knowledgeable and friendly and took their time explaining what was going to happen. From the moment that I stepped in, the front desk lady was incredibly kind and patient. Then they called my daughter in her patient room, led by a nurse assistant, who was equally kind and very patient. Within less than 5 minutes the doctor camenin and observed my daughter. She was also very kind, very thorough, and pleasant too. I was told this was is what to expect when coming here. Wonderful people. Thank you. We arrived when it first opened. My daughter was seen promptly and everyone was so nice. Wish we could use PM pediatrics as our children’s primary!! Convenient hours, service, great doctors, clean facility, and able to “Save your spot” online. This is how every doctors office should be ran!! Amazing how an Urgent Care facility, puts primary Doctors to shame. Very professional, easy to walk in vs pediatrician office. Drs are friendly and knowledgeable and office is extremely clean. Super easy from start to finish. Always friendly and clean space. Staff and Drs are always terrific. Thank you.